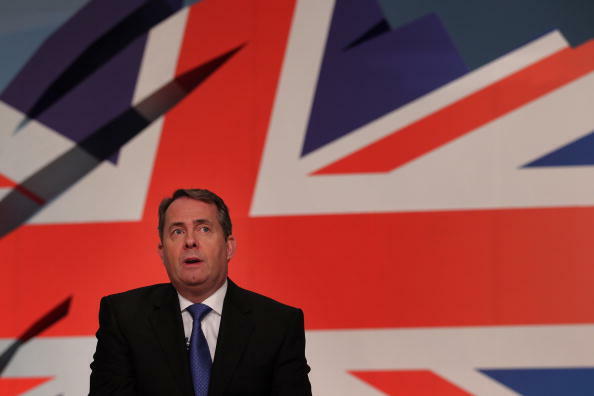 Ministers could bypass parliament and sign the UK up to controversial international trade agreements, under post-Brexit plans published just before Parliament went into recess. 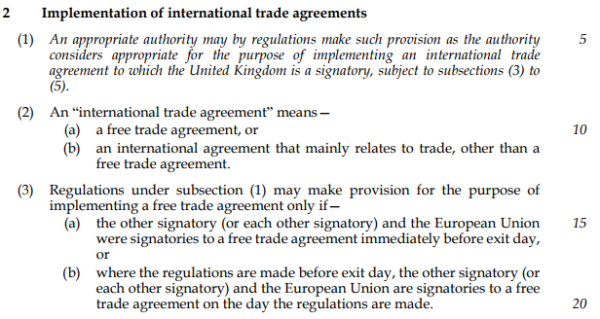 The trade bill, published by the Department for International Trade (DIT) today, gives ministers the power to sign up for agreements with countries that already have trade deals with the EU. A government spokesperson told Unearthed “The EU agreements which we are proposing to transition have already been scrutinised through the EU legislative process, and through Parliament and the relevant EU committees,” adding that ministers do not expect significant changes to deals which currently exist with the EU. However, clauses in the bill suggest the new powers will continue to apply even if deals are altered during negotiations – leaving it up to ministers whether to refer the new deal to Parliament for approval. The bill – published when most MP’s have already left parliament – could have big implications because the EU already has agreements with 50 other countries. The bill is unclear about how long the new powers could stand. One clause suggests the powers could last for five years after Brexit day whilst another suggests they could be extended for a further five years. Back in February, the European parliament passed an EU-Canada trade deal. The Comprehensive Economic and Trade Agreement (Ceta) deal prompted protests from across Europe, due to fears that it could lead to rapid privatisation of the public sector in member states, as well as diminishing labour laws and giving multinational corporations control over policy. One of the most controversial aspects of the agreement is the introduction of a new Investor Court System, which would replace the existing Investor-State Dispute Settlement system, and allow corporations to challenge governments if they believe they are being treated unfairly. Campaigners have also bemoaned a lack of environmental provisions in the agreement. The law firm ClientEarth derided Ceta late last year for having “toothless, unenforceable environment rules and a tribunal system which will prioritise corporate interests”. The consultation period for the bill ended yesterday, with commentators bemoaning the lack of scrutiny the plans had received. When the government published the trade bill white paper, last month, Green Party MEP Molly Scott Cato criticised the “government’s secretive approach” to trade deals.